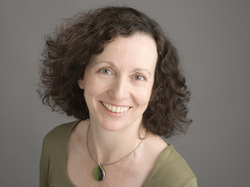 Katherine Duffy is an Irish poet and writer. She has published two collections of poetry: Sorrow's Egg (2011) and The Erratic Behaviour of Tides (1998), both with Dedalus Press. Her short story Must-See. received the Hennessy New Irish Writer of the Year award 2006. Her fiction in the Irish language, including Splanctha! , a novel for young adults published by Cló Iar-Chonnacht, has also won many awards. She is an accomplished translator, and has translated fiction by leading Irish language authors into English.